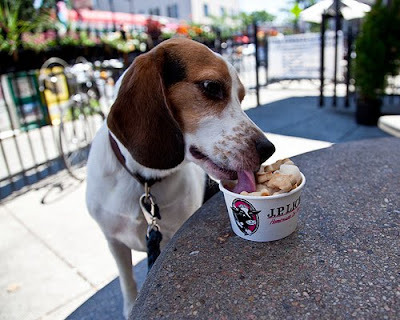 This photo of my beagle, Apollo, enjoying a "dog sundae" from the popular Boston ice cream shop, JP Licks, was recently spotted on Flickr and highlighted in this Bostonist article. Apparently July was National Ice Cream month and the writers of the website thought this photo captured the spirit of that concept perfectly. Hope your Sunday is as good as this one was! LOVE this photo and congratulations on the online kudos!